Company intranet portal hosting can be a challenge. Intranet is a network that is only accessible to users/employees within an organization. It is a private and restricted internal Web-based site. Intranets are mostly hosted externally, especially in companies that don’t have the required IT staff or infrastructure to run them. • External hosting should be highly secured and available for instant support. If the hosting company lacks this, your company reputation can be affected. • Lack of experienced IT staff, backup space, internal bandwidth, etc. can again affect the pace of work and company productivity. • Monthly hosting cost can turn out to be an expensive affair in long run. • Finding a suitable host company: With many available options, it may take a considerable amount of time searching around and interviewing to find a host suitable for your intranet at the price fine with you. • Technical and user support: The turnaround time for problem resolution may not be up to your expectations and/or requirements since you’re at the mercy of a third-party technical support staff. 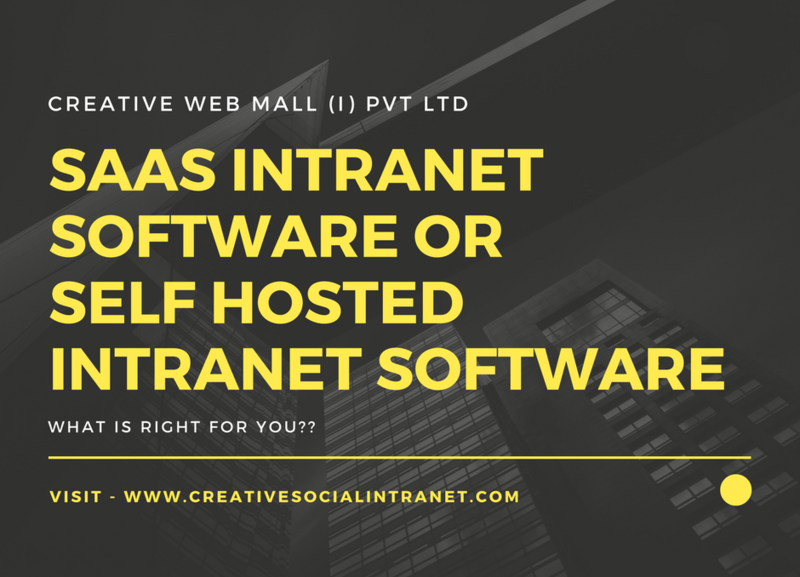 • External intranet hosting allows developers and content owners to focus solely on design of the intranet and its content to Companies which want to focus on software and content. • The burden of security, software upgrades and backups are taken over by the hosting company. • Inter-Company Politics – Getting an entire company to agree to “buy in” to the intranet is critically important decision. For example, finance , HR and technology departments tend to have disagreements with each other. Because an intranet project will involve many departments and the relational tensions need to be handled delicately. At Creative Social Intranet, we have experience developing intranets for different variety of clients, as well as we provide external intranet hosting. Do you need help in determining the best intranet solution for your company? Creative Social Intranet is at your rescue.